The Stone Arch Jazz Band plays the soul touching old music known as Traditional Jazz (close to how it was played in New Orleans around 1900-1930) in the Minneapolis/St. Paul area. Please feel free to check our upcoming events. We now have a newsletter for those who want to be notified of upcoming events! “I have never had the pleasure of meeting Richard Lund or The Stone Arch Jazz Band but he has corresponded occasionally with me by e-mail. So I know he has been keen for several years to establish and play in a traditional jazz band of this kind. And at last his ambition has been comprehensively achieved. 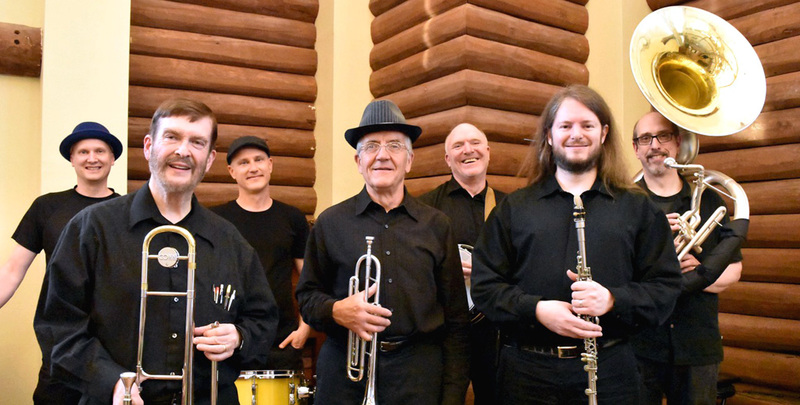 It is clear from their videos that the Stone Arch Jazz Band have rapidly developed into a group of good musicians who play the music in a tasteful and very enjoyable manner. I like the teamwork and the respect they give to the melodies. It's good old-fashioned jazz such as was played in the dance halls of New Orleans early in the Twentieth Century. The playing is unpretentious and there is no mere exhibitionism, though the players show (when improvising solo choruses) that they are technically very skilful and can play with great fluency.